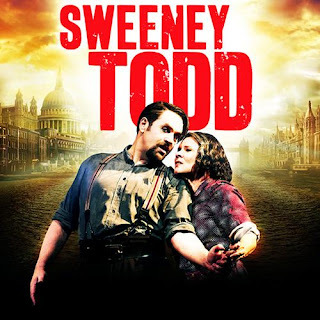 The classic musical Sweeney Todd which was recently turned into a Hollywood movie starring Johnny Deep and Helena Bonham Carter in 2007 was first staged on Broadway in 1979 and closed the following year earning itself Nine Tony Award nominations, winning eight of them including Best Musical. The show transferred to London in 1980 closing later that year; despite the mixed reviews the show won Best Musical at the Olivier Awards. The show has since then had multiple revivals on Broadway in 1989 and 2005 and in London in 1993, 2004 and the most recent Chichester Production which transferred to the West End in March 2012. The show recieved positive reviews from critics and was labelled a must see by everyone who saw it, so it was only right that the production made its way over to London so West End audiences could experience it. The score by Stephen Sondheim is intelligent and interesting, his lyrics are very powerful and every song was a moving moment for all characters. However I can't help but feel a few of the songs were a bit much to take in a at times, I zoned out in a few of them and was thinking about what I was going to have for dinner the next day. But they were delivered brilliantly by the cast and were modernised greatly in this production while still keeping the original essence that Sondheim intended to have. The direction by Jonathan Kent complemented the show greatly, as did Denni Sayers movement direction. The Set and costume by Anthony Ward fitted the period of the show and kept to the original concept which the 2005 Broadway production ignored completely. Mark Henderson's Lighting was wonderful and again complemented the show marvellously and all the creative aspects of the show were as one and you can tell the design of the show as an entire production was worked on until it was perfect. 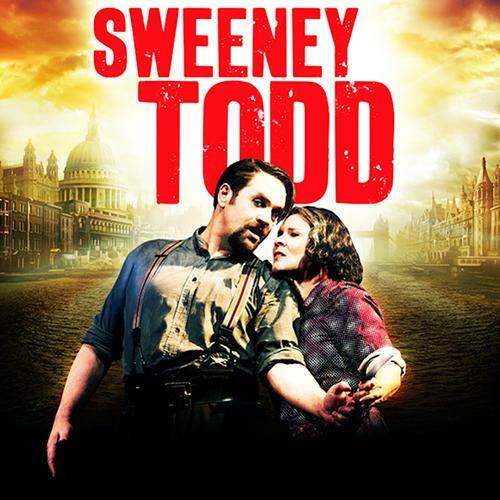 Michael Ball stars in the production as Sweeney Todd with Imelda Staunton as Mrs Lovett. Michael Ball is almost unrecognisable as the character and his portrayal of the role was almost perfect. He brings some personality to the role rather than going down the root of making him as interesting as a sheet of cardboard as Johnny Deep showed us in the 2007 film of the musical. He was, however, still a little 'musical theatre' in the role and there were a few moment when I found him scary but he lost those completely after about three seconds, if he carried those moments through the whole show his Sweeney Todd would definitely go down in musical theatre history. But his dedication to the role was fantastic but just not scary and freaky enough, I wanted to see what was going on in Sweeney's head but Michael just didn't show this. Imelda Staunton was my favourite thing in this production; her Mrs Lovett can only be described as brilliant. She brought out so many comedy aspects of the character which Stephen Sondheim put in there on purpose for people to bring out in and Imelda does it perfectly. She was the highlight in the show and her interpretation of the role is something that every Theatre goer has to go and experience. The two were great leads of the production but the supporting cast were equally as good. Robert Burt, as much as he resembled the Go Compare Man, was delightful as Pirelli. John Bowe and Peter Polycarpou had great understanding of who their characters were, John's Judge Turpin was interesting as the audience really could see what he was trying to put across and Peter's Beadle Bamford complemented Judge Turpin as well. Luke Brady had a beautiful voice as Antony; he played an honest and kind character that was divine to watch. James McConville as Tobias was good. He fitted the role but his voice grated on me at times, but no one can say he wasn't decent as Tobias. Gillian Kirkpatrick was incredible as the Beggar Woman, it's such a hard role to play well but she succeeded greatly in portraying a crazy, old woman who the audience could also feel for as well! A very hard job done fantastically by Gillian. Lucy May Barker was beautiful as Johanna. She played her as a sweet, innocent young girl and her 'Green Finch and Linnet Bird' was beautifully sung with great control. The ensemble provided astonishing vocals, it's a shame the opening song was so quiet though because what I could catch from it was spin chilling. The production as a hole is tremendous; this limited run is exactly what needs to be presented for West End audiences. Filled with fantastic performances, the show is just waiting to thrill you.